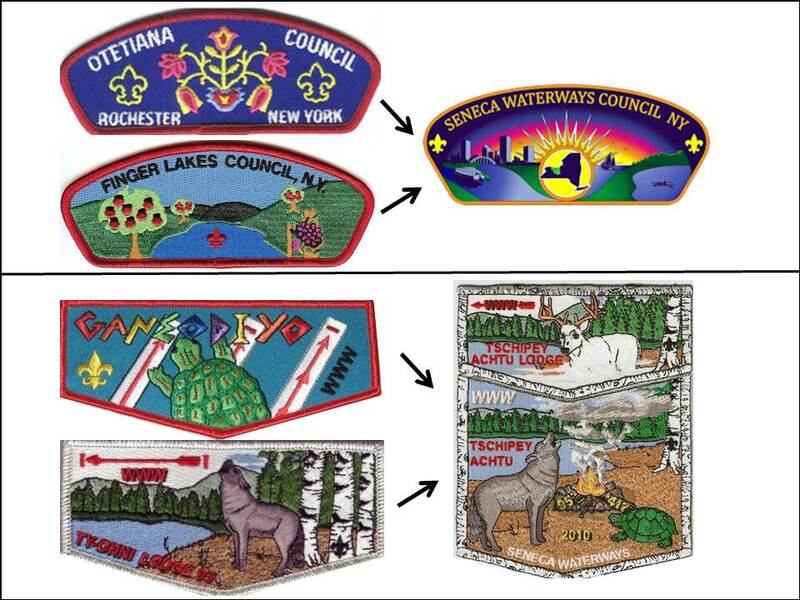 At their May 2009 meetings the Executive Boards of both the Finger Lakes Council and the Otetiana Council voted unanimously to send a Merger Resolution to their respective councils for consideration at their Annual Meeting. On June 15 both Councils asked their eligible voters to cast a ballot on the question of whether or not the two councils should merge into one. Both councils passed the resolution. By the fall of 2009 the new council was known as Seneca Waterways Council. However it would take until January of 2010 to fully merge the two lodges. In 2010, the two lodges merged to form the Tschipey Achtu Lodge #397. Tschipey Achtu means Ghost Deer, and is the totem of the Lodge. The first patch was a tribute to both prior lodges with a wolf and a deer looking upward into the smoke of a campfire to see a Ghost Deer. In 1948, the OA was discussed by member of the Finger Lakes Council. The following year they formed the Ganeodiyo Lodge #417, and the turtle was chosen as its totem. In 1936, the OA was introduced to the Rochester Area Council at a council campout held in Mendon Ponds. Thirty-five members were inducted, and the following year the established Ty-Ohni Lodge #95. Ty-Ohni is the Seneca Native American word for wolf, and was the totem of the Lodge. 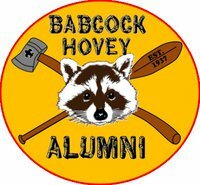 With the Merger, Camp Babcock-Hovey gained two sister camps. Camp Cutler in Naples, NY is run as a Cub Scout Camp and Camp Massawepie in the Adirondacks which is run as a Boy Scout Camp with a high adventure element.